Bangkok is indisputably Southeast Asia’s top destination for dance clubs & party. The city’s legendary party scene ranges every night, from the seedy cheap bars along Khao San Road to Sukhumvit’s opulent hotel rooftop lounges; the crowds taking part include both exuberant Thais blowing off steam after work and visiting nightlife-lovers from all over the world. 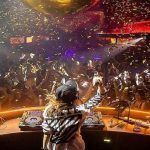 Whether you prefer live bands, hip-hop beats, or A-list international DJs spinning electronic dance music, you shouldn’t miss the four-block span in the heart of Bangkok called Royal Club Avenue (or, in local-speak, RCA). You’ll need to get a taxi there (it’s far from public transport), but once you’ve arrived, a walk down the avenue will bring you past famed clubs like Route 66, plus numerous bars and clubs where live local musicians perform. A plus in this district is that, unlike at many of the swankier hotel bars, a few cocktails here won’t break the bank. The cover charges are inexpensive, too. 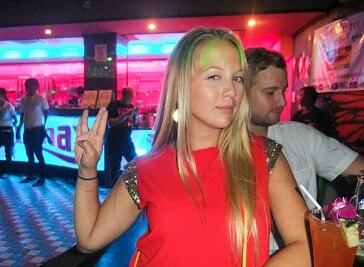 Wherever you choose, you are guaranteed a good night out with all the Bangkok dance clubs have to offer. Welcome to Climax, Bangkok’s hottest new nightclub, where every night is ladies night. Free entry for all ladies, from open until 1 am. Party all night and take advantage of our late night happy hour, with all drinks going at only 120 baht the last hour of the night. They’ve got Daily Live Acts and new DJs spinning your favorites every hour. They’re also running special lucky draws for cash and drink prizes every week. The hottest & most talked about venue in town. Come on in & experience yourself with D.J.STATION. Filled with fun & joy; entertaining nightfly with its show,hot music spins all the night. What more can be said...! Have fun & enjoy. 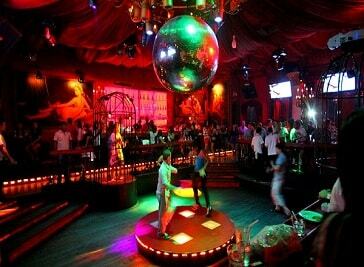 Mixx Discotheque in Bangkok is a nightclub in Siam. The club has two rooms: the main room is dedicated to hip hop and party pop, while the cave-like backroom is the place for more beat-heavy house music. 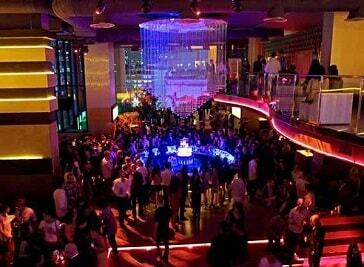 Since its opening in 2010 Mixx Bangkok has become a popular place to dance until sunrise. 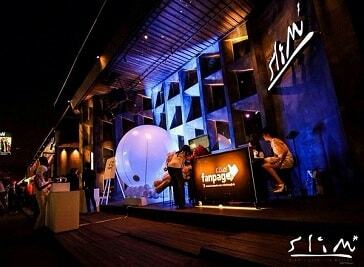 It is well-liked by young international and Thai models thanks to the free entrance and drinks offers. Entry for mere mortals is 350 baht and comes with a free drink. Cockatoo is a bright and welcoming little ladyboy bar on Soi Cowboy and very popular with Japanese visitors who call ladyboys 'New Half'. 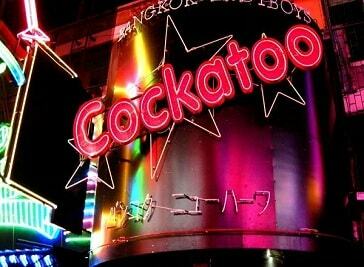 With the giant neon signs of the massive Go Go bars all around, Cockatoo Go-Go Bar is easily overlooked and passersby often miss it. Soi Cowboy is a friendly place and so are the girls at Cockatoo… you'll be gently invited to step inside and have a look by yourself, so don't hesitate. Bangkok is crammed with clubs and events happening seven nights a week, but if you want to see how Bangkokians really party you should get down to Slim & Flix on Royal City Avenue (RCA). Slim and Flix is a more than a club; rather, it is two clubs and a live lounge all pushed together inside a sleek glass and concrete exterior. Levels Club & Lounge is a venue with three distinct party zones housed in one connected space, and offers a great alternative to the already rocking nightlife scene on Sukhumvit Soi 11. Combining elements of a terraced bar, classy lounge, and a box-like clubbing room that has one of the best sound-systems in the city, Levels covers a lot of musical ground and tries to provide a little something for everyone.